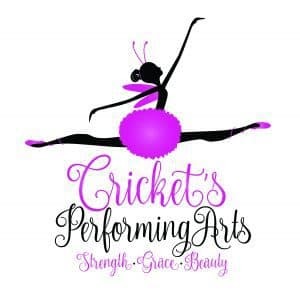 At Cricket’s Performing Arts, it is our desire to develop the talents of our students and to cultivate an appreciation for all the fine arts, regardless if they are recreational or the more serious student. We focus on keeping class sizes small (under 15 students) to properly coach and instruct students on an individual level. Our teachers come from a range of backgrounds and disciplines, making Cricket’s Performing Arts a diverse collective of expertise. Small town mainly ballet school. We teach ballet, tap , jazz, contemporary, hip hop, ballroom and acrobatics.